The Time Server App Has Launched! 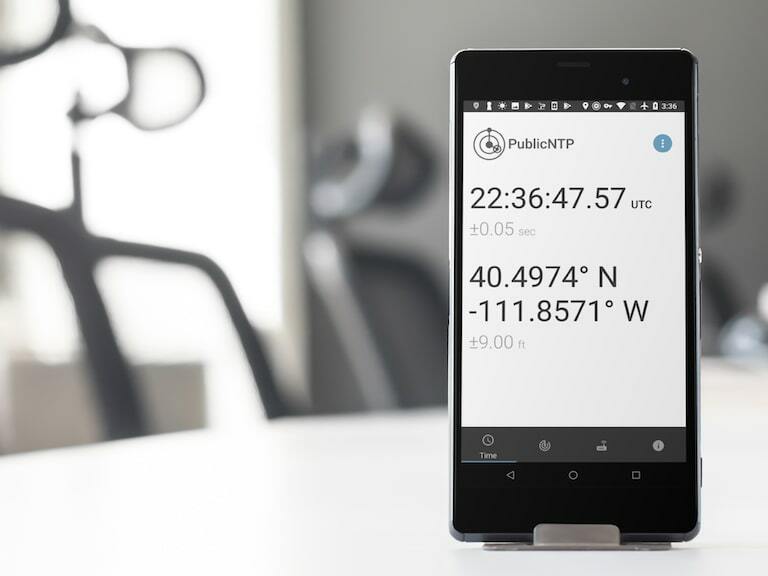 PublicNTP is thrilled to announce the release of our free Android app Time Server. The Time Server app is a reflection of both PublicNTP’s vision for the future and a sizeable portion of our concerted efforts in the last two years. With Time Server, you’ll be able to have and redistribute some of the most accurate time on the planet. Our Time Server app is a straightforward, easy to understand tool providing highly-accurate time and location information. The first function, in line with the PublicNTP mission, is time-keeping. You’ll see time down to the fraction of a second (with estimated error margin) in both Coordinated Universal Time (“UTC”) and your local time, thanks to data directly obtained from the Global Position Satellite (GPS) system. You also have the option of linking your location to Google Maps or sharing it with others. 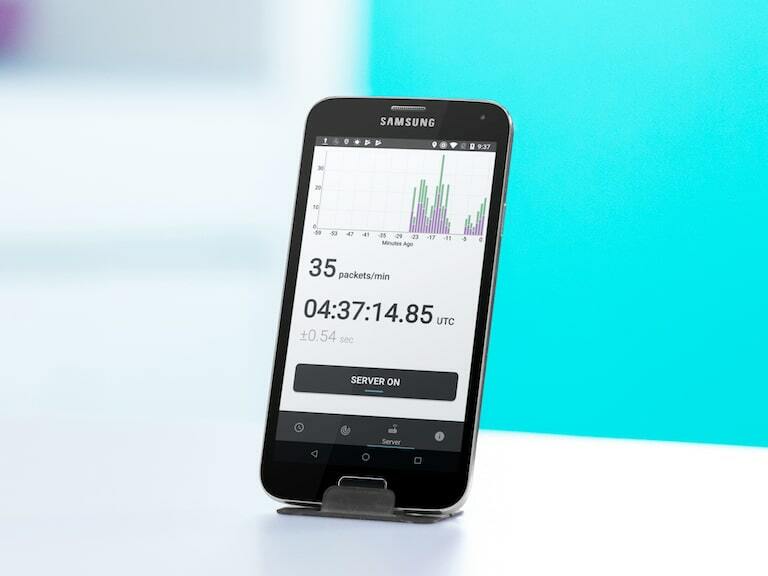 One of Time Server’s coolest functions is the ability to display the navigation satellites providing time/location information to your phone in real time. 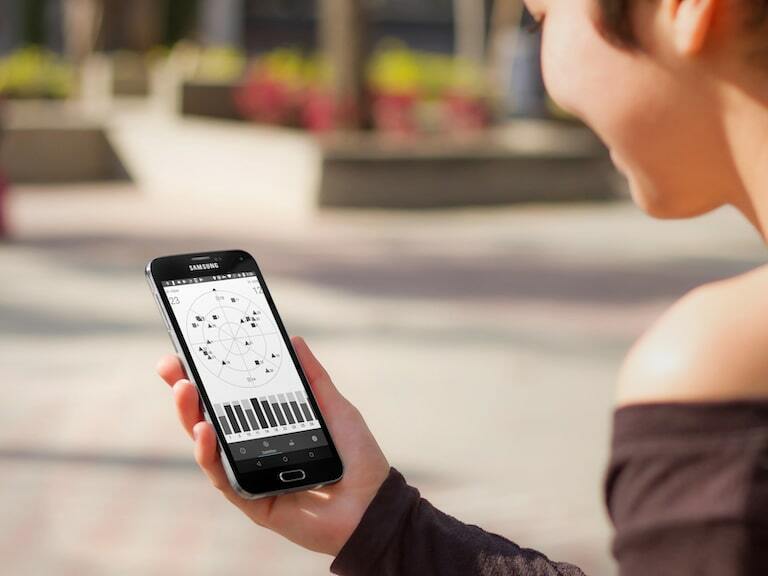 Using our compass-bound interface, you can tell where you stand in relation to the current constellation orbiting satellites along with their signal strength. Tapping displays specific information for each GPS satellite including Signal-to-Noise Ratio, Altitude Angle from your position, and its heading. Saving the best for last, the Time Server app lets you host -- you guessed it -- a time server! For a miniscule amount of battery and processing, you can become a point of light in the world’s time network. You’ll act as a small but integral part in the future of keeping the world’s digital clocks synchronized. We have strived to maintain an intuitive interface for tracking your server traffic -- allowing you to watch your contributions to the world. PublicNTP’s mission is increasing the number of unrestricted, accurate, reliable, network-accessible digital time references around the world. To achieve our mission, PublicNTP takes maximum advantage of technology built by others who came before us and was generously open-sourced for the public good. In line with that spirit of openness, PublicNTP is dedicated to proliferating tools and information with the express hope others can and will build upon our work. PublicNTP hopes you’ll explore the Time Server’s open-source, MIT-licensed source code on GitHub and contribute changes that take it far beyond PublicNTP’s original vision. 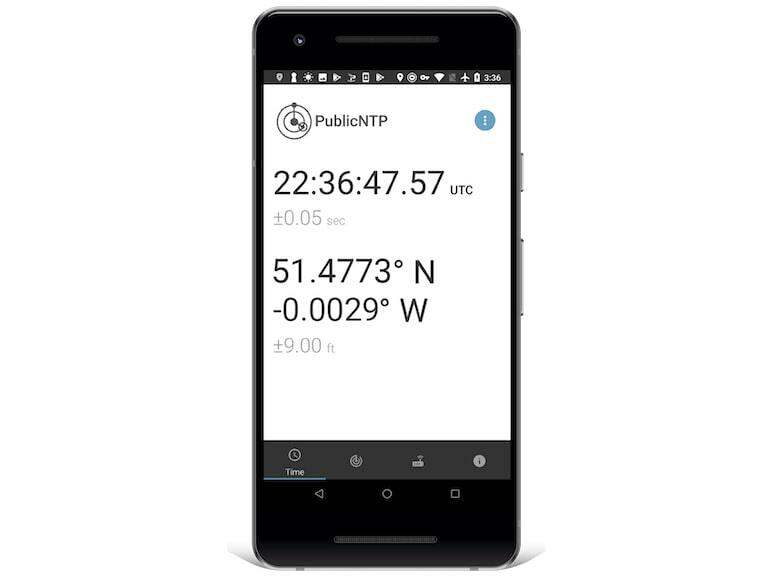 PublicNTP’s Time Server is a fun, informational tool bringing accurate time and location information to the corners of the globe. Give it a try, if you’re interested visit our site to learn more, and if you enjoy the app be sure to give us a review in the store!